I was involved in an online conversation in a secular public forum last week and, after a bit of chat with a few folks, received a pretty vitriolic response from a new poster. He accused me of being deliberately provocative and (to paraphrase) too smarmy for my own good. I hadn’t realised that my posts were open to that interpretation and I apologised. To be fair to him, he also apologised for going over the top. A couple of days later, another contributer accused me of being deliberately and unnecessarily provocative. I hadn’t intended this at all. Within a few days of joining the conversation, I realised that I was doing something badly wrong. I’m still not sure but I can see at least four problems. First, these conversations were a new form of communication for me and I hadn’t learned the language ot its etiquette. I’m used to communicating in the lecture room and pulpit and, of course in all the normal casual situations of life, face to face, but in a world where the reader only has black words on a white screen, all of the subtleties of personal communication are missing. I hope I’m getting it now and I’m starting to appreciate the value of emoticons, which I’d always looked down on. Second, I didn’t realise that, being a stranger to the other contributers, they know nothing about me or how I talk, my sense of humour, my general use of language. I’ve realised afresh that all communication is done in the context of the relationship that exists between the partners. Hopefully as we get to know each other we’ll get to understand each other better. Third, have I become so centred on the Christian community that I’ve lost the ability to communicate well with non-Christians about spiritual things? Could it be that I’m too familiar with spiritual jargon and even sentence structures that are ‘baptised’ that I really do come across badly to non-Christians? Fourth, could it be that, in general, I don’t communicate what I think I’m communicating. Do I need to remember the aphorism that what I say is not nearly as important as what people hear? Quite by accident, I attended part of the ‘Sung Eucharist to Commemorate the Hundredth Anniversary of the Outbreak of World War 1.’ The invited guests filled perhaps a quarter of St Paul’s Cathedral in London with interested spectators taking up perhaps another quarter. Passers-by, like myself, came in and out, most paying little attention to what was happening at the front. I arrived perhaps ten minutes into the service but it was only out of a sense of discipline and a desire to at least try genuinely to worship, that I stayed for about half an hour. It was simply terrible. It had a certain grandeur, solemnity and even, to those with ears to hear, beauty in the music, to the aesthete, it may have been magnifique. The words of Scripture and the cadences of the Book of Common Prayer obviously meant something to me, but, overall, what I saw and heard was culturally and spiritually so distant from me that it was punishingly boring and spiritually deadening… and I’m supposed to be, at least to some degree, an insider. I later discovered that Communion had been celebrated and that the service had ended with the metrical version of Ps. 100, to ‘Old One Hundredth’, so maybe things would have come closer to my understanding of magnifique. But, of course, it would only have been an improvement for me: a Christian; an educated, middle class Presbyterian… almost sixty years old. In all that we do in the Church of Jesus Christ we must beware of being magnifique but having nothing to do with la guerre (spirituelle). In the context of what the service was commemorating there was an awful poignancy and a dreadful irony. To replace la guerre with la folie comes perilously close to ‘having a form of godliness but denying its power’ (2Tim.3:5). Lord, keep us from ignoring the battle cry of the Mighty Warrior (Zeph.1:14) and settling for the Charge of the Light Brigade. The most persecuted people in the world? The Belfast Telegraph carried an article on Monday, which had first appeared in the Independent on Sunday, claiming that recently published research has shown that Christians are the most persecuted people in the world. The debate surrounding this claim has been very interesting with arguments about statistics, suggestions that ‘you reap what you sow’ and arguing about the definition of persecution taking up much space.The picture (left) with the article was of Meriam Ebrahim, recently released from prison in Sudan, meeting the Pope. 1. Christians are being persecuted and martyred around the world. 3. Persecution for one’s faith and hostility for other social reasons are often intertwined. 4. Western interference and support for various insurgents has led to a very significant increase in Christians being persecuted, most notably in the Middle East. 5. We must distinguish between opposition and persecution. We have every right to oppose what we believe to be wrong. Just as Christians will argue against, say, Islam, so Muslims and others have every right to argue against Christians but opposition should be peaceful, reasoned and principled. 6. Christians cannot look for help from Western or historically Christianised governments… unless such help will be politically advantageous to these governments! In contrast, it is likely that principled people in other religions and of no religion may be allies against unfair treatment. 7. The historically privileged position of the Church in the ‘West’ is coming to an end. Opposition will increase, possibly also persecution. As we, in the West, come to the same position that many other Christians have been in for generations, we will need to learn from them, from both their faithfulness and their failures. I’ve recently come across two innovations in which secular society is ‘trespassing’ on ‘our turf’. Sunday Assembly ( http://sundayassembly.com/ Mystery worshipper report at http://www.ship-of-fools.com/mystery/2014/2666.html ) describes itself as, ‘all the best bits of church but with no religion, and awesome pop songs.’ It claims to be what Christians do on a Sunday but with all the definitively Christian aspects removed. In some places it seems to be popular but it’s too soon to know whether or not it will become a permanent fixture. 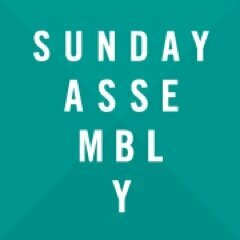 A local assembly has met a few times in Belfast (Black Box, 3pm – 5pm) but I don’t know if it’s on every Sunday or even if it still meets. 1. There is something of a backhanded compliment here; they see that we have something special and they want to imitate it. 2. Christian Sunday worship is both the core and shop window of the church; Sunday Assembly is neither of these. Its core philosophy is trite and consequently there is nothing of substance on display. 3. Christian Sunday worship is an expression of Christian community, which is also expressed in many other ways, throughout the week. Sunday Assembly is not or, at least, not yet. 4. Christian Sunday worship is not primarily for enjoyment. Sometimes it can and ought to be disturbing and painful. I could be wrong, but Sunday Assembly shows no sign of being able to retain folk who don’t enjoy it. Christians are criticised for things like cliqueishness, considering themselves better than others and unthinking fundamentalism. There is not the remotest chance of Sunday Assembly avoiding the very same things. Death Cafes (http://deathcafe.com/ ) are not therapy or counselling groups. They are not necessarily for people who have been bereaved although this is by far the largest constituency and they are certainly not for freaky people who want to be morbidly punk. The aim of Death Cafe is ‘to increase awareness of death with a view to helping people make the most of their (finite) lives’. Christians have always done more than talk about death, we even ‘celebrate’ the death of Jesus, by drinking ersatz blood, which must sound pretty morbid to outsiders. We have good reason to look forward to death and it is that which lies beyond death that gives direction and, to some degree, form to our lives. Death Cafe is well meaning and I have no doubt that folk may benefit from going along. If the movement does take off, what about a Christian Death Cafe? It would need to be handled with extreme sensitivity but might be worthwhile. Both of these endeavours remind me of an article, possibly by Matthew Parris, that claimed that everyone should act as if Christianity was true. Romans 1:20ff says, For since the creation of the world God’s invisible qualities—his eternal power and divine nature—have been clearly seen, being understood from what has been made, so that people are without excuse. For although they knew God, they neither glorified him as God nor gave thanks to him, but their thinking became futile and their foolish hearts were darkened.Although they claimed to be wise, they became foolsand exchanged the glory of the immortal God for images made to look like a mortal human being and birds and animals and reptiles. Glimpses of truth remain but they are overlain with much sinful folly. Are glimpses such as the Sunday Assembly and Death Cafe the best places to start our evangelism? Three quick, off the top of the head, questions that, I recognise, need to be thought through in more detail. 1. This picture promotes ‘Gay marriage’. The important word is ‘promotes’. While, legally, we are obliged to recognise that the UK accepts gay marriage, are we under obligation to promote it? We accept the right of Muslims to worship without being oppressed but we are not obliged to promote Islam. We accept that people should not be discriminated against because of the colour of their skin but we are not obliged to promote any particular organisation that supports racial equality. We accept the existence of a wide range of political parties but we are not obliged to promote any. Is it important to maintain the distinction between acceptance and promotion? 2. If I understand the situation correctly, Ashers did not refuse to fulfil the order because the customer was homosexual, indeed, I don’t know if he or she was. They refused to assist in promoting a cause; they did not refuse to serve a customer because of his or her sexual orientation. Is it not reasonable to refuse to promote a cause with which one is not in sympathy? 3. If it transpires that refusal to bake this particular cake is actually illegal, have we come to a defining moment at which the Church must decide whether to follow the demands of UK law or to act in a way that, we believe, promotes human flourishing? If the choice is to be made, its consequences will have to be accepted. The end of Christendom is not to be mourned but this, and similar recent events, indicate what the future may hold for the Church. Are Christians in the UK willing to listen to, and learn from, brothers and sisters in other parts of the world where being socially unacceptable and seriously legally constrained have always been the norm. And a final tangentially related thought: In the discussions surrounding Orange parades, a number of folk have said that protests must be peaceful. I fully agree. They have also said that there is no room for civil disobedience – I’m not so sure about that. Civil disobedience has a long and honoured place in Christian history, but it has to be done peacefully and lovingly. Perhaps Christians supporting a bakery might show others how it should be done. As with all of my posts, this comes as my personal opinion, not that of UTC. What a tragedy that Nicola Russell and others who live with cancer must also live with the knowledge that, in Northern Ireland, they cannot have access to drugs that could improve and extend their lives. Their pain is increased by knowing that, in other parts of the UK, the NHS would pay for this treatment. The Belfast Telegraph (24th June), along with many others, call this situation a ‘postcode lottery.’ But this is entirely misleading. It gives the impression that NHS treatment is some sort of game of chance. Nothing could be further from the truth. Local NHS Trusts and those in power in local government have limited budgets and must make terrible decisions. Every pound spent on a cancer drug could also be spent on the salary of a geriatric nurse or on support for children with serious mental health problems or on hip operations or on… Denying a patient any of these becomes a tragedy when a geriatric patient dies in a hospital bed and isn’t discovered for three hours or a child takes his own life or an elderly woman falls down stairs to her death. Each was denied care because of the ‘postcode lottery’ that denied them life-saving treatment. So, think theologically about how we should care for the weak, write to your local politician, listen to the nurse who sits next you in the pew, or commit yourself to caring for someone in your congregation who suffers as Nicola Russell and many others do. Christians tread a fine line as we try to be fully in touch with contemporary culture while retaining our distinctively Christian stance. We are part of our broader community, sharing very much in common with other members, but we are different and our faith makes us see things differently. Christians have always tried to bridge the gap between the church and ‘secular’ society. One way of doing this is to use something that we have in common with the rest of the community as a vehicle for the Gospel, hoping that the natural connections can be helpful for making spiritual connections. Here’s one attempt to use the World Cup to make a bigger, spiritual point. It’s from Premier Christian Media. You’ve been voting for your ultimate Bible XI and here are the results! Goal keeper: Jesus…because he saves! Left back: Barnabas because he defended the Gospel. Centre back: Go for Peter ‘The Rock’ as centre half. Centre back: David as a defender because he is very strong. Right back: Adam…’cos he goes right back to the beginning! Left midfield: Angel Gabriel on the wing. Central midfield: Solomon in midfield – he has the wisdom to read the situation. Central midfield: Get Moses in midfield to feed the strikers: he’s great at pass overs. Right midfield: Elijah has pace, he proved this by outrunning Ahab. Play him on the wings. Striker: Joshua as a centre forward. He’d fear no opposition! Striker: Jehu as striker, he will move so fast and furiously, no one will catch him. 1) Andrew for his fabulous assists, especially leading Simon-Peter to Christ! They can all play against the Sons of Jacob – full team sorted in one hit – mind you they probably wouldn’t work well together and would send Joseph away as a sub! For me this fails on at least three points: it flirts with blasphemy; it is theologically illiterate and, of course, … it is simply not very funny . Or maybe I’m just getting old and losing my sense of humour. Anyone know of any better attempts to use the World Cup for evangelistic or other worthwhile purposes?